What a fresh and interesting title to add to the many historical fiction books out there. 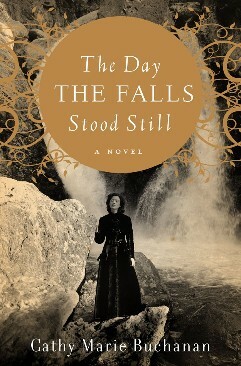 The Day THE FALLS Stood Still is a must read for those looking to dive into a new book this fall. 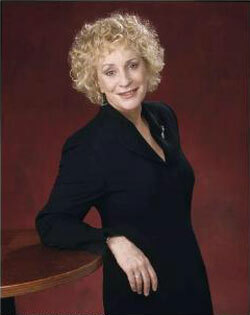 Author Cathy Marie Buchanan has created a cast of characters led by Bess and Tom. Bess is a wonderful heroine whose desires, dreams and fears helped to keep me enthralled as I read. After reading a few books set during WWII this year, it was interesting reading this book which is set during WWI. The mood was much different but still set a stress in the story and for its character. Set between 1915 and 1923 in Niagara Falls, Canada, Ms. Buchanan also presents focuses on a new way of getting energy to the masses is making its way into everyday life. It’s called hydroelectric power and it will change the way lives are lived and will change the lives of residents in Niagara Falls forever. Bess is also on the cusp of womanhood and finding love and will never be the same again. The Day THE FALLS Stood Still will keep you enraptured from beginning to end. Ms. Buchanan started touring for her debut book last week but has taken a moment to answer a few questions for us here at Planet Books. I would love to welcome The Day The Falls Stood Still author Cathy Marie Buchanan to Planet Books. PB ~ Having written a book that I consider historical fiction, what other era in history is your favorite? What is your favorite historical fiction title? CMB ~ My formal education in history ended in grade nine, and so I hardly feel qualified to have a favourite era. That said, I did fall in love with the WWI period as I researched The Day the Falls Stood Still. The way communities pulled together, the way everyone was doing their bit really struck me. People gave up driving and meat and started war gardens and, if they had a free moment, rolled bandages and wrote letters to buoy the spirits of soldiers they’d never met. It seemed the crisis brought out the best in people, that sacrifice was widespread. It made me feel hopeful that at some point, hopefully not too far off, all of mankind will take up the fight against our own looming crisis–climate change. PB ~ What has been your favorite part of the process you went through to get to this finished product? The research? The writing? The press junket? CMB ~ I was fascinated on a daily basis as I researched The Day the Falls Stood Still. Born and bred in Niagara Falls, the lore I’d grown up came to life as I read old newspaper accounts of the stunts and rescues on the river or as I came upon gorgeous old photographs of the river before the massive diversion of water away from the falls for the production of hydroelectricity or as I gazed out over the Niagara River from Loretto Academy, the boarding school the book’s protagonist attends. A now I have the great pleasure of meeting readers online and in the flesh, and I love being told their stories of Niagara Falls or hearing how The Day the Falls Stood Still has touched them in some way. Still, I am a writer at heart, and it’s what I love most. I write everyday, sitting down at the computer as soon as my boys leave the house for school. The objective is always the same, to lose myself in the words I am setting on the page. And I have had moments when I look up from the computer, dazed. It takes a second to grasp that I am sitting at my desk, a further second to decide: Is it morning or afternoon? Have I had lunch? Have I forgotten to pick up my boys from school? My head was a hundred years away in Niagara Falls. It’s when the best writing has come, and I overflow with happiness. PB ~ Being an author, do you feel that book blogs are a great way to get the word out? Have you enjoyed your blog tour? Do you find it an effective way of communicating with readers? CMB~ I was a marketer (among other things) before I was a writer. In marketing lingo, the groups of consumers who seek out new product information and then go about spreading the word are called chat leaders. These chat leaders are respected authorities in their areas of expertise, and companies jump through hoops to get newly launched products into their hands. For a new line of lipstick, the chat leaders might include the beauty editors at magazines, the cosmeticians in stores, that neighbour you’d know to turn to for a recommendation for a lipstick that stays on for more than five minutes. Book bloggers and their followers fit the bill when it comes to books. You are the chat leaders–the people who know books, who talk about books, who can’t wait to find that next great read, the people whose opinions on what to read next are regularly sought. So, yes, absolutely, book bloggers are a great way to get the word out. And the book blogs do provide a wonderful platform for giving readers further insight into a book. Through reviews and guest posts and Q&As, the bloggers enrich the experience of reading a particular book for their followers. I have loved my tour, not only because the chat leaders are chatting but also because having someone thoughtfully consider the work that I’ve poured my heart into for the last umpteen years has been one of the most rewarding experiences of my life. Thank you, bloggers and followers, for that. For more information about Cathy Marie Buchanan and THE DAY THE FALLS STOOD STILL, be sure to check out her website HERE. The School of Essential Ingredients follows the lives of eight students who gather in Lillian’s Restaurant every Monday night for cooking class. It soon becomes clear, however, that each one seeks a recipe for something beyond the kitchen. Students include Claire, a young mother struggling with the demands of her family; Antonia, an Italian kitchen designer learning to adapt to life in America; and Tom, a widower mourning the loss of his wife to breast cancer. Chef Lillian, a woman whose connection with food is both soulful and exacting, helps them to create dishes whose flavor and techniques expand beyond the restaurant and into the secret corners of her students’ lives. One by one the students are transformed by the aromas, flavors, and textures of Lillian’s food, including a white-on-white cake that prompts wistful reflections on the sweet fragility of love and a peppery heirloom tomato sauce that seems to spark one romance but end another. Brought together by the power of food and companionship, the lives of the characters mingle and intertwine, united by the revealing nature of what can be created in the kitchen. Having recently re-located back to the DC area and wanting to create a book club with my friends, I thought that The School of Essential Ingredients would be the perfect first selection. I think I hit the nail on the head folks! Lit & The City ladies, what say you? What a wonderful, fun, interesting, educational and cozy book author Erica Bauermeister has gifted the reading and cooking community with. The core of the story is about eight people coming together to take a cooking class at a local restaurant in (I think Seattle) the Pacific Northwest under the instruction of the restaurant owner and head chef, Lillian. What we get when these people come together from all different backgrounds for one common goal, to cook, is nothing short of a wonderful, memorable and inspirational book. There’s Helen and Carl, a married couple in their sixties or so, who though they have faced crisis in their marriage are stronger for it and have rekindled their romance. The observations they make to each other about their fellow classmates are made from experience. There’s Chloe, who at first is a lost soul looking for romance and a home in the wrong places but then finds love and family where she least expects it. Claire, a young mother who is loosing herself in her daily life, has the shortest back story of them all but may have gotten the most out of the actual process of cooking. Antonia is a woman who has left a life of peace, familiarity and family for a new adventure on a new continent but finds herself grounded by her past. Then there is Ian. A great character in and out of the kitchen and who finds himself in search of the next culinary challenge to take on. Of course I had some favorite characters because of their back stories. My absolute favorite character was Isabelle and the metamorphosis that took place within her after the exit of her husband and she found herself. Though now she suffers from memory loss and mix-matched memories, her life was rich with relationships, children and then the adventures she made for herself. Tom was my second favorite character because of the depths of his love for a woman and the sorrow that replaced that love. Food played a huge roll in his relationship with the love of his life and attending the cooking class is equal parts difficult and therapeutic for him. The curiosity and dread of finding out the details of Tom’s back story made his part of the book extremely effective for me. I must emphasize that there may be eight students and a teacher that make up this wonderful book but they are all held together by the tenth, and at times, most important character of all. The food! Erica Bauermeister had me salivating and my stomach growling throughout her intimate and divine descriptions of the class dishes and other recipes being prepared here and there. It really was cruel and unusual punishment for me since our house with our new gourmet kitchen won’t be ready for another two weeks and then we still have to wait for our household goods shipment to arrive and be unpacked. Erica’s talent for food writing is spectacular and at times I could smell the ingredients and the dishes as the characters prepared them in class and at home waft off the page and up to my nose! 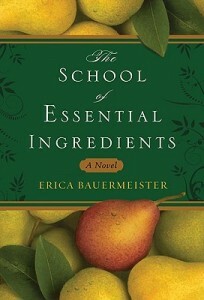 I look forward to discussing The School of Essential Ingredients with my book club, Lit & The City, but I also hope if you have read Erica Bauermeister’s masterpiece that you will share with us here at Planet Books your thoughts on it. Erica Bauermeister’s website can be found HERE. THIS CONTEST CONCLUDED ON 8/21. The White Queen tells the story of a woman of extraordinary beauty and ambition who, catching the eye of the newly crowned boy king, marries him in secret and ascends to royalty. While Elizabeth rises to the demands of her exalted position and fights for the success of her family, her two sons become central figures in a mystery that has confounded historians for centuries: the missing princes in the Tower of London whose fate is still unknown. From her uniquely qualified perspective, Philippa Gregory explores this most famous unsolved mystery of English history, informed by impeccable research and framed by her inimitable storytelling skills. – This text refers to the Audio CD edition. 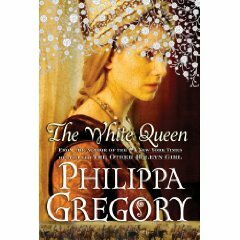 The White Queen by Philippa Gregory kicks off a new series by the best selling and beloved author. This time the focus is on the famed “War of the Roses” or “The Cousins’ War.” The Houses of York and Lancastor battled for the throne of England between 1455 and 1487. At the time “The White Queen” takes place, King Edward IV of York’s reign. He privately married our heroine, Elizabeth Woodville, after a short courtship. The historical fiction that Gregory produces is wonderful. It’s rich with storytelling and fact that has been blended perfectly together. I have never read any of Gregory’s novels before but I can say that she has struck a positive chord with this new book as she introduces her readers to a new reign in England’s history. From the beginning, I thoroughly enjoyed Elizabeth. Her thoughts are strong and well written and her adventures from widow and mother to Queen of England and beyond held my attention. Kind Edward was five years Elizabeth’s junior and because he married for love (or lust, because Elizabeth wouldn’t go to bed with him until he married her) and not for an alliance between countries, this caused weakness in his personal and professional relationships that make for good drama. Of course there is heartbreak, romance and all the great aspects that are expected in a Philippa Gregory novel (I’ve read the reviews and seen the film adaptation of “The Other Boleyn Girl”). However, I did feel that the flow felt a bit like a non-fiction work at times but for the most part The White Queen was a good read. Thank you so much to Philippa Gregory’s publicist Kelly at Touchstone-Fireside Books for inviting me to read and review The White Queen and for sending me my beautiful copy of the book. The cover art is exquisite! Kelly has also offered to giveaway two copies of The White Queen to two lucky winners/readers here at Planet Books. Please leave your name, e-mail address and the name of your favorite Philippa Gregory book so far for a chance to win. This contest will conclude on Friday, August 21st at Midnight, EST. Good luck!! 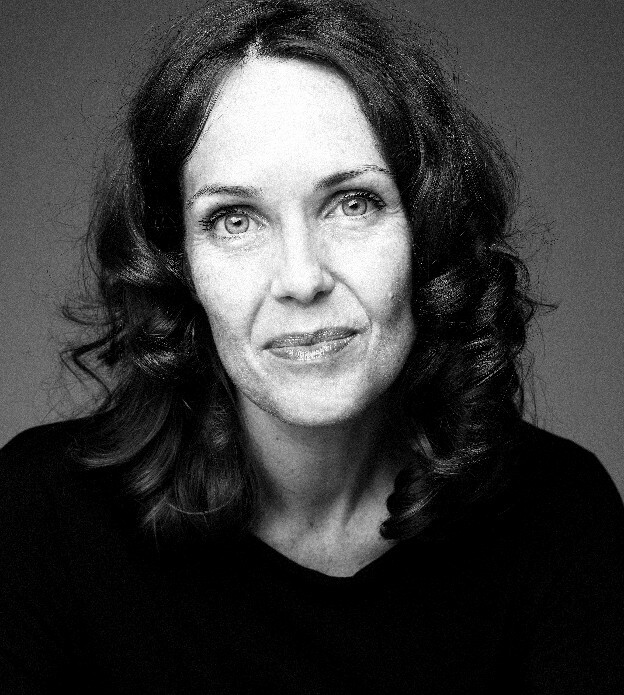 You can check out Philippa Gregory’s website HERE. In the spirit of the author and publisher’s request, I will not go into details about Little Bee. I will tell you that I loved this book. The writing is wonderful. The characters are so real I actually wish they were except for what happens to them. I still find it amazing that a male mind wrote this story which is told from the minds of two complicated, feeling, richly woven women. The story will stay with you as it will stay with me. You will want to talk about this book as you read it and when you are done. When you are ready to talk about Little Bee please let me know. 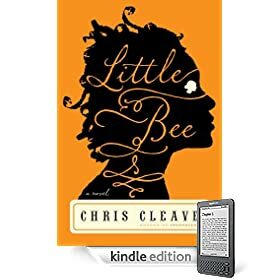 You can learn more about Little Bee and author Chris Cleave at his web site HERE. Below I have included an author interview/book promo video for Little Bee (in the U.K. it is titled The Other Hand). In 1942, Will Truesdale, an Englishman newly arrived in Hong Kong, falls headlong into a passionate relationship with Trudy Liang, a beautiful Eurasian socialite. But their love affair is soon threatened by the invasion of the Japanese, with terrible consequences for both of them, and for members of their fragile community who will betray each other in the darkest days of the war. Ten years later, Claire Pendleton comes to Hong Kong and is hired by the wealthy Chen family as their daughter’s piano teacher. A provincial English newlywed, Claire is seduced by the colony’s heady social life. She soon begins an affair, only to discover that her lover’s enigmatic demeanor hides a devastating past. As the threads of this spellbinding novel intertwine and converge, a landscape of impossible choices emerges—between love and safety, courage and survival, the present and, above all, the past. Janice Y. K. Lee’s The Piano Teacher was not what I expected. Not in way of the story but in how I wished to love it from beginning to end. The first sixty pages or so were slow, unable to grasp my attention for more than a few moments at a time and were full of characters that I couldn’t become emotionally invested in. Then the arrival of WWII and all that came with it turned the great city of Hong Kong and it’s civilians upside down and with those events a new book emerged to me. A book full of mystery, deception, love, risk, and horrific descriptions of how brutal war can be. The Piano Teacher is the story of a young British woman named Claire, fresh off the boat in Hong Kong and fresh into a world she didn’t know existed. She is married to Martin, an older Englishman who concerns himself with work at the Waterworks plant and not with the events that soon fill up his wife’s days. Claire surprises herself by taking up a position with a Chinese family as their young daughter’s piano teacher. The affiliation with the Chen’s opens a new world to Claire, full of party invitations, a whole new circle of people and an introduction to Will, the man who will sweep her off her feet and change her life forever. Will has a story to tell but he doesn’t share details easily. The first part of The Piano Teacher flips between 1952 and Claire’s torrid affair with Will and ten years prior, telling the stories of Will before WWII and the love of his life, Trudy. The Piano Teacher is a rich, disturbing and refreshing look at WWII. It shows the reader the horrors that more than likely occurred on the other side of the world. Living in Okinawa, I am familiar with the history of the Japanese invasion of this little island. In The Piano Teacher you read of the Japanese invasion of another small area of the Orient. If you are a fan of the 1987 film, Empire of the Sun, this may be the book for you. Empire of the Sun is one of my all time favorite films based on the autobiographical novel by J. G. Ballard which tells the story of a young boy who is separated from his family when Japanese Forces invade Shanghai and he is sent to a work camp where he survives the war. If you have the patience to get through the first few chapters of The Piano Teacher, and maybe you will love it right from the start, this book is worth the time investment. The characters become vivid and the story builds and builds as the war escalates and reaches the corners of the globe. Summary ~ The Little Giant of Aberdeen County: From Publishers Weekly~Starred Review. Baker’s bangup debut mixes the exuberant eccentricities of John Irving’s Garp, Anne Tyler’s relationship savvy and the plangent voice of Margaret Atwood. In an upstate New York backwater, Truly, massive from birth, has a bleak existence with her depressed father and her china-doll–like sister, Serena Jane. Truly grows at an astonishing rate—her girth the result of a pituitary gland problem—and after her father dies when Truly is 12, Truly is sloughed off to the Dyersons, a hapless farming family. Her outsize kindness surfaces as she befriends the Dyersons’ outcast daughter, Amelia, and later leaves her beloved Dyerson farm to take care of Serena Jane’s husband and son after Serena Jane leaves them. Haunting the margins of Truly’s story is that of Tabitha Dyerson, a rumored witch whose secrets afford a breathtaking role reversal for Truly. It’s got all the earmarks of a hit—infectious and lovable narrator, a dash of magic, an impressive sweep and a heartrending but not treacly family drama. It’ll be a shame if this doesn’t race up the bestseller lists. What an absolutely enthralling, exciting, depressing, uplifting, tear inducing, story-telling book we have in Tiffany Baker’s debut novel, The Little Giant of Aberdeen County. Truly Plaice is a larger than life character in every sense of the phrase. She is physically enormous and continues to grow and grow but not only in body but in character, soul and heart. Truly is not dealt the best hand in life. Her birth ends her mother’s life (she was huge from the beginning) and when her father passes away and leaves her sister Serena Jane and Truly at the hands of townspeople, the two are forever separated from each other. They were separated from each other from the very beginning of life though. Where Truly is large, sturdy, loyal and ugly (on the outside), Serena Jane is petite, beautiful, fragile, flighty and interested in helping herself and not others. Truly’s story takes us through her life and there we meet the people who imprint themselves on her soul and in our minds forever. The doctor/brother-in-law who torments Truly his whole days through and is the most evil character I’ve read in a long while. The boy who stole Truly’sheart through letters while he was in the jungles of Southeast Asia, fighting for our country. The teacher who was the first to call Truly by the name she feared to hear the most at a young age; Giant. The pseudo-sister she finds in Amelia and Amelia’s family who took Truly in when she had no where else to go, and taught her to take life’s punches as they come but to watch out for yourself at all times. The story that comes about through the relationships that Truly has with these folks is one I won’t soon forget. In The Little Giant of Aberdeen County there are representatives of good and evil and then there are moments of grey that can’t be placed in a specific category. Tiffany Baker has an All-American story that will no doubt hold your attention and imagination past the last page. You can also check out The Washington Post’s review of The Little Giant of Aberdeen County HERE.